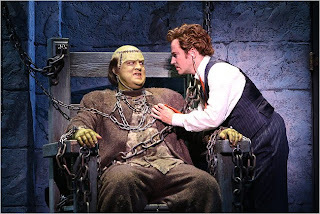 There are just a few days left to see Young Frankenstein at The Golden Gate Theatre in San Francisco. Panned by the New York Times a couple of years ago, the show has had a bad reputation. I can't for my life understand this at all unless perhaps they fixed the problems that seemed to be a problem with the NY Times. I found myself laughing to the point of pain. If you love the movie, you will love this production. TWO very enthusiastic thumbs up from me. And in the chorus is a young actor whom I've had the priveledge of performing with, Matthew Hutchens. He's a local boy whose made his mark on a few national touring companies. and I am certain one day on Broadway. I've been thinking a lot lately about what it was in London that allowed me to so fall in love with Shakespeare's work. 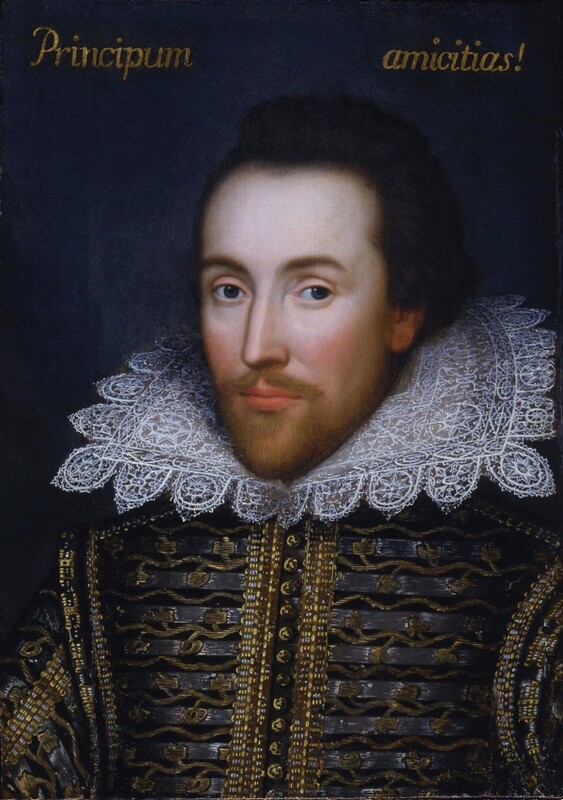 Each time I saw a Shakespeare play done in London, I felt totally captivated. Often when I see a Shakespeare play in the States that doesn't happen. What's the difference? Is it just that I felt so privileged to be spending time there and I was in a different state of mind, or is it more than that? I think that perhaps the answer is a cultural one. If you grow up there, and become an actor, you unconsciously absorb the subtle nuances that make Shakespeare great. If I were to venture a guess as to what those nuances are I would say this: 1) Specificity. British actors and directors make each line specific in that even if the meaning is only slightly different than the preceding line, they do whatever is necessary to differentiate the difference in a way that the audience will understand. 2) Voice. The British have a stronger sense of the musicality and poetry of the language. Americans (except for much of the South) tend to speak in a flat and monotone pitch. 3) Passion for the words. The British just seem to be more passionate about the actual words. Here we often try to cover up the words with a tricky theme. The British know that none of that layering can ever trump the power of Shakespeare's words themselves. Let me just say a couple of things about attempting to produce a play by Christorpher Durang. First of all it's extremely difficult to pull off well. His comedy is so absurd, cynical, and over-the-top, that unless you fully understand his humor and what it takes to play his stuff with complete sincerity while simultaneously maintaining an ever present sense of farce and irony, then forget about it. So many times over the last thirty years, I have seen relatively inexperienced actors and directors attempt his plays. Perhaps they do it because they have such fond memories of doing scenes from "Beyond Therapy" in acting class. Acting class is one thing, but to put an audience through two and a half hours of craziness without leaving them exhausted or frazzled or bored is another. On the other hand, when done well and with comic aplomb, a Durang play may just leave you with broken ribs and a hernia. You literally may laugh yourself to death. So fellow directors, please, if you insist on doing Durang, make sure you ask a third party to come in and give you an honest assessment of how things are going about half way through the rehearsal process. Make sure this person is an experienced director who will be brutally honest with you. What you think is drop-dead hilarious, might actually be like finger nails on the chalkboard to those removed from the ubiquitous zaniness.